GPM Core Observatory | Flickr - Photo Sharing! Visualization of the GPM Core Observatory satellite orbitting the planet earth. The Global Precipitation Measurement (GPM) mission is an international partnership co-led by NASA and the Japan Aerospace Exploration Agency (JAXA) that will provide next-generation global observations of precipitation from space. GPM will study global rain, snow and ice to better understand our climate, weather, and hydrometeorological processes. As of Novermber 2013 the GPM Core Observatory is in the final stages of testing at NASA Goddard Space Flight Center. The satellite will be flown to Japan in the fall of 2013 and launched into orbit on an HII-A rocket in early 2014. 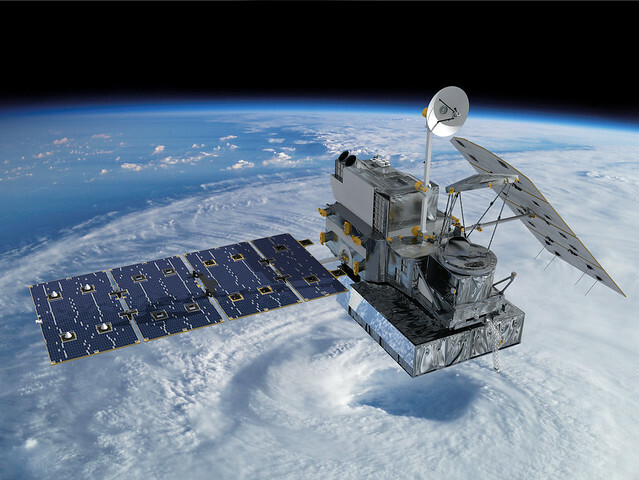 For more on the GPM mission, visit gpm.gsfc.nasa.gov/. Stupenda immagine! Reale o elaborata?